Gain a deep understanding of A level Further Mathematics. 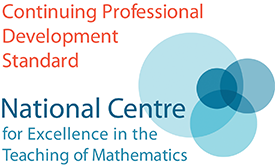 Develop confidence and skills to teach A level Further Mathematics, focusing on subject knowledge and effective pedagogy. Provide opportunities for mathematical thinking; exploring connections within maths. The course fee for TFM1 is £300. Do I need to have taught A level Mathematics before doing the TFM1 course? There is no requirement that applicants have taught A level Mathematics before enrolling on TFM1 however, much of the pure content of A level Mathematics is assumed knowledge. The Teaching A Level Mathematics (TAM) course is highly recommended for teachers looking for support with teaching A level Mathematics. The TFM1 assignment is the only work that delegates hand in. To receive a certificate at the end of your TFM1 course you will need to submit and pass the TFM1 assignment. Certification is optional but we strongly encourage you to submit an assignment anyway to help you consolidate what you have learnt. In the past most teachers have chosen to submit an assignment. Teachers working at state-funded schools or colleges need to demonstrate that they have engaged with the course unit to trigger a course fee subsidy at the end of the course. If you have missed either study day you may be required to submit the TFM1 assignment in order to qualify for the course fee reimbursement whether or not you wish to certify. When do the TFM1 course fees have to be paid? How does the subsidy for teachers working in state-funded schools or colleges work? The AMSP is supported by the Department for Education and therefore only course fees for teachers working in state-funded schools and colleges in England are eligible for a subsidy. If the course fee is paid by the applicant's school or college then the same school or college will receive the subsidy when the course is completed by the applicant. Yes, you may choose to pay your own course fee. Applicants who are teachers working in state-funded schools and colleges in England are eligible to receive a reimbursement of the course fee where they have paid the course fee directly. It is a requirement that the applicant submits an email address that has been issued by the state-funded school or college where they are employed and that the applicants email address is substantiated. Teachers on the course enjoy the study days and appreciate the chance to meet up with other teachers on the course. Study day materials are shared with all course delegates afterwards. 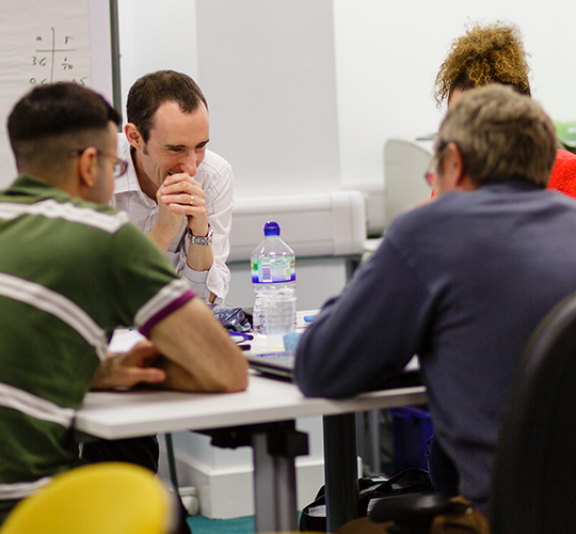 If you are a teacher working at a state-funded school or college then to be eligible for a course subsidy you will need to demonstrate that you have engaged with the course, which includes the expectation that you will attend the face-to-face study days. If you are unable to attend a study day and this is due to unforeseen or special circumstances then the course fee reimbursement may still be granted at the discretion of the course leader. You may be required to submit the TFM1 assignment as additional evidence of engagement with the course. If you pass the end of unit assignment, you will still be eligible for a TFM1 course certificate.